The Australian Constitution Centre at the High Court, Canberra opened on 9 April 2018. This project was a developed as a collaboration between the Constitution Education Fund and the High Court of Australia. The educational program tells the story and workings of the Australian Constitution, emphasising the six foundation principles (democracy, the rule of law, the separation of powers, federalism, nationhood, and rights balanced by responsibilities). It supports the Australian curriculum, humanities (HASS) civics and citizenship and is visited by students and teachers as a part of the Australian Government funded PACER program. The Exhibition has received praise from all quarters as a new way for Australians to experience and learn about the Australia’s constitutional arrangements and our system of government. The Australian Constitution: its story and how it works. The six foundational Constitution principles: democracy; the rule of law; separation of powers; federalism; nationhood and rights. The processes of the Australian system of parliamentary democratic government, and its story. The history and ideas behind the writing of the Australian Constitution and the influences on it by the development of democratic ideas since Ancient Greece. The High Court of Australia since 1903, particularly through the eyes of its 13 Chief Justices, and exploring significant cases that incorporate the six constitutional principles. The people and institutions of the Australian nation’s constitutional story. The teaching and learning resources also explore aspects of the contemporary core cross-curriculum topics including, Aboriginal and Torres Strait Islander Peoples studies, sustainability, and Australia’s role in Asia. 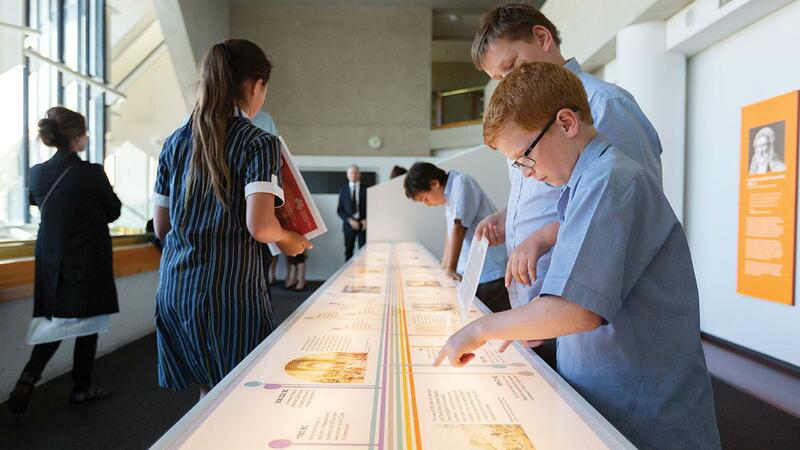 You can visit the Australian Constitution Centre website by clicking here.